What the local community has been saying……. Need to spread awareness about your place of business? 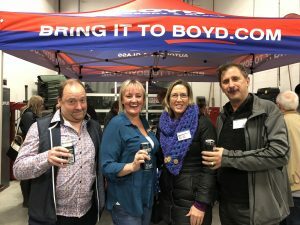 Try hosting one of the Board of Trade’s Business After Hours. Our popular BAH’s typically bring between 150-200 Board of Trade members and guests and include an opportunity to be videoed at our spotlight. All members are encouraged to bring prizes for the draw to increase your brand’s visibility. Want to invite more than 200 business members to your front door to showcase what you do and how you do it? 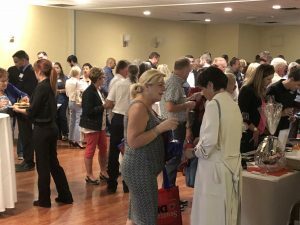 Host one of our Business After Five Mixers to promote your business, generate leads, solidify relationships and gain tremendous visibility to the local business community. We’re looking for vibrant venues to provide an exciting place where our dynamic members could gather and network. Spotlight interview on our Red Carpet – Video posted on u-Tube, Website and Social Media after event. Provide a facility to adequately accommodate 150 to 200 guests within reasonable standards of comfort and capacity compliant. Provide adequate hors d’oeuvres, refreshments, and at least two alcoholic beverages for each attendee. Karen Beaubier will supply you with a list of Local wineries. 2 six-foot tables for registration and your tabletop exhibit. 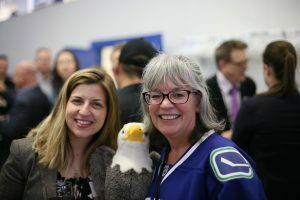 Sign up to host a mixer today and look forward to showing off your brand to Greater Westside Board of Trade members and guests. For information, please contact Karen Beaubier at executivedirector@gwboardofttreade.com or 250-768.3378. The Greater Westside Board of Trade will impact growth and prosperity of the local Business Community by advocating opportunities, economic sustainability and collaboration among Greater Westside businesses and various levels of government. © 2019 Greater Westside Board of Trade.